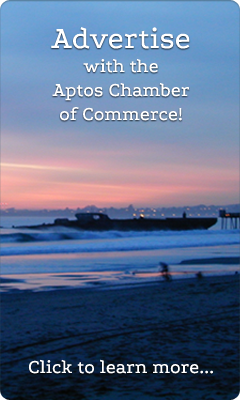 In the event of flooding, fire, earthquake or any other natural disaster, the Santa Cruz County Sheriff’s Office in conjunction with the Aptos Chamber of Commerce, has prepared a few tips to keep you and your business safe. A small vault in your business where you can store money and valuables. The vault should be resistant to water and fire. Maintaining an external computer hard-drive, to backup important documents such as; financial records, employee lists, payroll, rent or lease agreements, etc. The external hard-drive costs less than $100.00 and can easily be removed from the business when evacuating. Establish a call safety system for employees if disaster permits calls. Have employees call or check-in to an established phone number to check in their status. This can be an SBC phone mail system that can be checked by the business owner or designee to determine every employees safety in the event some employees were present in the business during natural disaster. Establish a check out list of employees names when evacuating a business. Businesses should develop a list of employees names to be posted on the business doors to inform Law Enforcement and Fire when employees have evacuated the premises. The list will help insure that no persons are trapped or injured in the business. In the event of looting after a natural disaster, always protect self before property. Do not attempt to confront looters by threatening them with weapons or attempting to restrain them. Immediately leave the premises and dial. Your safety is more important! Establish a list of Emergency contact numbers for your employees to access in the event of an emergency. The list of emergency phone numbers should consist of: Emergency personnel, hospitals, PG&E, phone companies, poison control, hazardous materials, environmental health, and business management. Evacuation orders are for your safety. Do not ignore or attempt to go back into a business after you have been asked to evacuate. By doing so, you are putting your life and the lives of emergency personnel in danger. Have a disaster plan for your business and employees. If the business has several employees designate a safety officer to coordinate planning and responses. Assign an alternate employee with keys and alarm codes in case of an emergency. In the event the business owner can not make it to the business, it is good to have an alternate employee have access to alarm codes and keys to secure the business. Develop a plan for whether there will be continual business after an emergency. If the business has had little damage after an emergency consider whether the business will operate even if the roadways may be impassable. For more information on how you can be prepared in an emergency situation, call your local fire department or Sheriff’s Service Center.